Paul became Pastor of Eastside Baptist Church, June 2001.
two sons; David lives in Twin Falls, Idaho. Silas and Bianca and granddaughter Ruth who also live in Twin Falls, Idaho. Paul is also director of New Horizon Home in Port-au-Prince, Haiti. Paul has been Vice President of the Saudi Advocacy Network, a network of believers praying that the Gospel will reach Saudi's in Saudi Arabia, served as vice president of the Utah/Idaho Southern Baptist Convention, president of the Utah Idaho Southern Baptist Convention, and moderator of the Magic Valley Baptist Association. John was called as associate pastor of Eastside in January of 2006. John has been married to Shari since August 15,1987. They have two grown daughters Jessica lives in Colorado, and Julia lives in Twin Falls, Idaho. Favorite Foods: New Mexico Green Chile on anything, avocados, most wild game. Favorite Drink: 'Milky Way' (caramel mocha) and sometimes Dr. Pepper. Inspirational Activities: I love to lead and see others worship. I am constantly looking for new ideas, media, songs and books to teach me how to help others connect with God. Mark and his wife India were married August 18, 1984. They have two sons, both married; Hyder and Devry King, with grandson Grayson live in Twin Falls, Idaho. Johnathon and Briana King live in Bloomsburg, Pennsylvania. 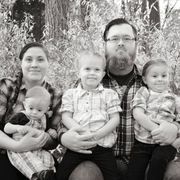 They also have one daughter, also married; Amber and Jesse Perez, with grandson Hunter and granddaughter Emerson also live in Twin Falls, Idaho. Mark works full time as Senior Project Manager with online marketing agency, PlacementSEO. 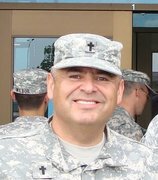 He is retired from the military having spent 26 years in the Army National Guard and Army Reserves. Before entering the ministry, Mark worked 16 years as an Environmental Scientist with the U.S. Army Corps of Engineers and the U.S. Forest Service. He has served as a pastor for 11 years in Wyoming, while also serving 3 years as Chairman of the Wyoming Southern Baptist Convention’s Executive Board. Mark’s Current Bucket List: Fly Fish in New Zealand and Alaska; Watch the Macy’s Thanksgiving Day Parade from a room directly above the parade route; and, travel in Ireland and Australia.